After the uproar surrounding the staff that worked on the design of the Serpentine Pavilion for this year, the Japanese architect Junya Ishigami has agreed that everyone who worked on the project will be paid in full. Originally there has been a discovery of unpaid internships at his studio that developed into a public row. Each year the Serpentine Gallery in London commissions an architect to design a pavilion, and it has now told Junya Ishigami + Associates that it would not allow any unpaid staff to work on the project. The gallery has explicitly stated that no person working in a capacity of unpaid internship is allowed to work on any project at the Serpentine Gallery. After the row emerged about unpaid internships and positions at the architecture firm, Junya Ishigami + Associates have now accepted the position from the Serpentine and will pay the interns for any work undertaken on the design of the pavilion for 2019. The row came about after it emerged that the Tokyo-based studio was seeking new unpaid interns, with Adam Nathaniel Furman publicly posting his opposition to the move as part of his #archislavery campaign against the culture of unpaid internships within the profession, on his Instagram profile. It is a problem that is facing the industry, and many other professions, as many young, up-and-coming professionals seek experience with top firms and some say are being exploited to do so. The Serpentine Gallery has been in touch with Junya Ishigami + Associates to discuss the matter and there has been agreement about the rule, with all people who worked on the project being paid for the work undertaken. 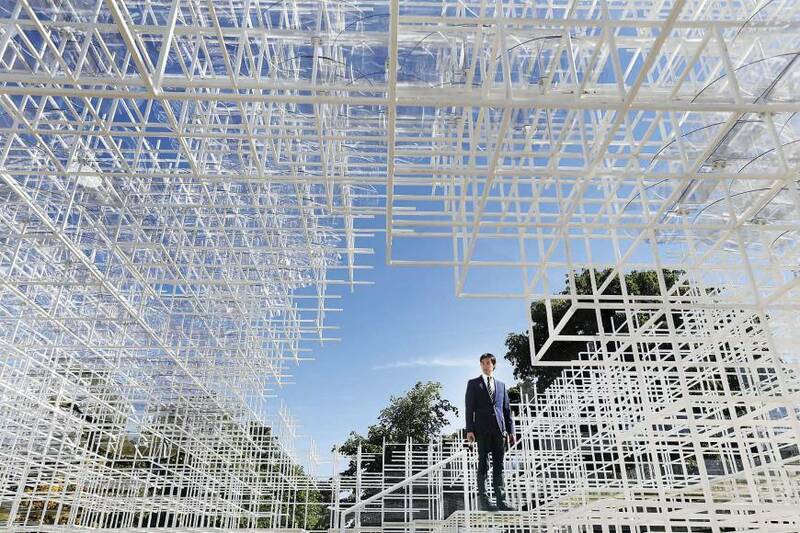 The Serpentine Gallery also confirmed its position, stating “the architect is paid a fee in line with artists in our exhibition programmes” when designing the pavilion, and that all travel costs are paid in full as part of the process. The Serpentine Gallery was established in 1970 and since 2000 has commissioned architects to design and build a summer pavilion every year. The pavilion sits next to the tea pavilion in Kensington Gardens (a Grade-II listed structure). The first design was originally intended as a one-off project to build a space that was due to hose a fund-raising gala, with Zaha Hadid being commissioned to put forward the design. It is now widely regarded as one of the most anticipated commissions in the UK architectural scene each year, and is always awarded to an architect who has not previously built in the UK. In terms of unpaid internships Japan has a history of problematic behaviour in this field. It is regarded as mutually beneficial to architecture firms and the unpaid interns and is a cultural factor that has long been accepted by the majority of the industry in the country. This years design has been described by Ishigami as ‘a hill made out of rocks’ and is expected to be completed in early summer, where it will be used as both an event space and café.